Microwave oil and butter in a deep 2-litre capacity microwave-safe dish for 1 minute. Add onion and microwave on High for 4 minutes. Stir in rice, mushrooms, stock, wine and season lightly with salt and pepper. Cover loosley and microwave for 10 minutes. 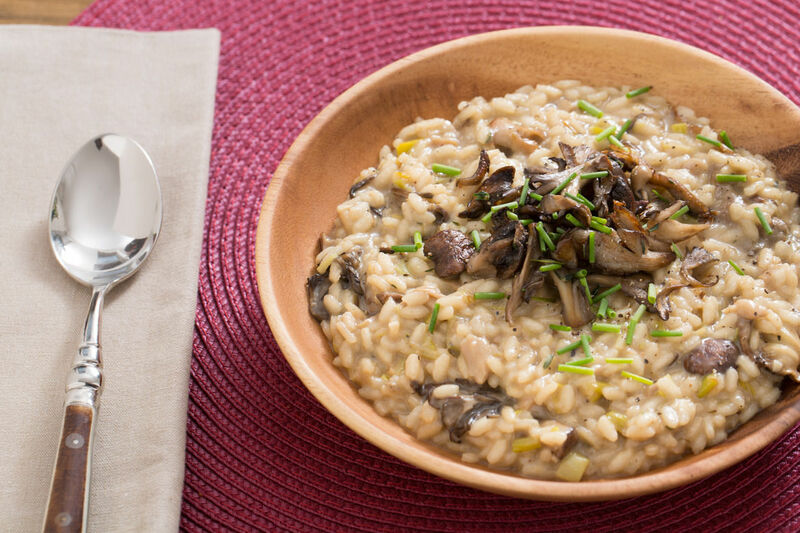 Microwave, covered, for a further 8 minutes, or until rice is just tender and risotto is creamy in texture. Cover and leave to stand for 3-4 minutes. Stir gently with a fork and serve with parmesan cheese.